Are you ready to vote?? | Sweet . Sassy . and a bit Smart-Assy . Now I want to preface this post by saying I am not one of those people who gets all up in your business about the Presidential Election and I won’t call you an idiot if you don’t think the same way as me (even if you may be…ha…just kidding…kinda). With that being said, I will say that I think you are an idiot if you do not get out and vote. I am a firm believer in the fact that you have no right to gripe about our President if you didn’t give your opinion on Election Day. I think it is our American duty, not to mention a gift to have the opportunity, to vote. When I say that you need to vote, I want to stress that it should be an EDUCATED VOTE. Don’t just ask your friends and family their opinions on who they are voting for and then just follow suit. Educate yourself about our Presidential candidates and form your own opinions. You may be one of those people who is beyond sick of hearing about the election, trash talk between candidates, and the forever annoying Facebook statuses with people ramming their political opinions down your throat (that last one is especially true for me), so the last thing you probably want to do is watch the Presidential debates. But you really should. Did you miss the debate last night? No problem! Watch it here. 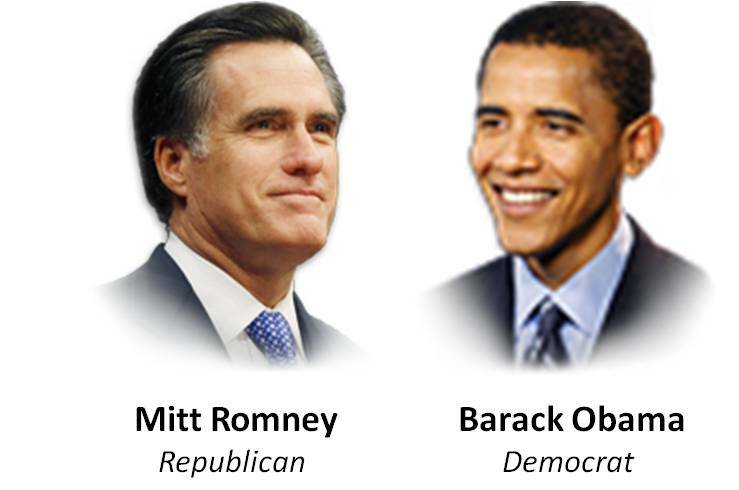 After watching all of the debating, have you formed your opinion on which Presidential Candidate you side with? It is a big decision and can sometimes be a difficult one for people on the fence. I discovered this website that may help you. I took the quiz and was not even remotely surprised by the outcome but I think it would help the people who aren’t set on a specific candidate. When taking the quiz, be sure to rank how important that specific question is to you. If the question isn’t simply answered by a yes or no to you, select the option to “Choose another stance.” This will give you more detailed options and will help define your results. At the end of the quiz you are given a percentage on who, based on your answers to the quiz, you should vote for. It even breaks your results down to which candidate you side with on the categories most important to you . I knew who I was going to vote for before taking this quiz (because I have educated myself) but the results were still interesting to see. I didn’t write this post so everyone can tell me their political opinions…in fact, please don’t because I really don’t care. I know my opinion and how I will vote and that’s all anyone should know. The results will be shown after the election takes place and that is all I care about past my opinion and seeing that I get myself to a voting booth. You may think that I am not open to opinions other than my own but that is not true. I have heard the opinions and plans of Mitt Romney and Barack Obama and that’s all I need because it will be one of them in the Oval Office for the next 4 years, not you or me. Now please find out if you are registered, register if you are not, and vote on or before Election Day! 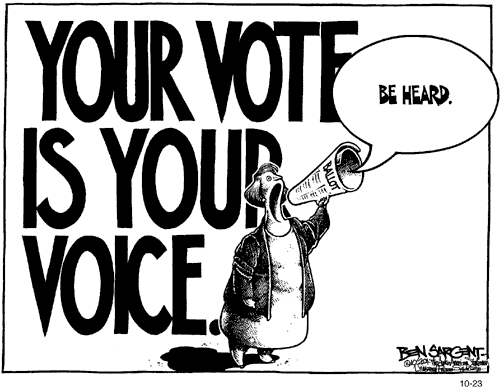 Only you can let your voice be heard through your personal vote. Do it! You won’t regret it…unless you vote for the winning candidate and he is garbage in the office…only one way to find out though, right?